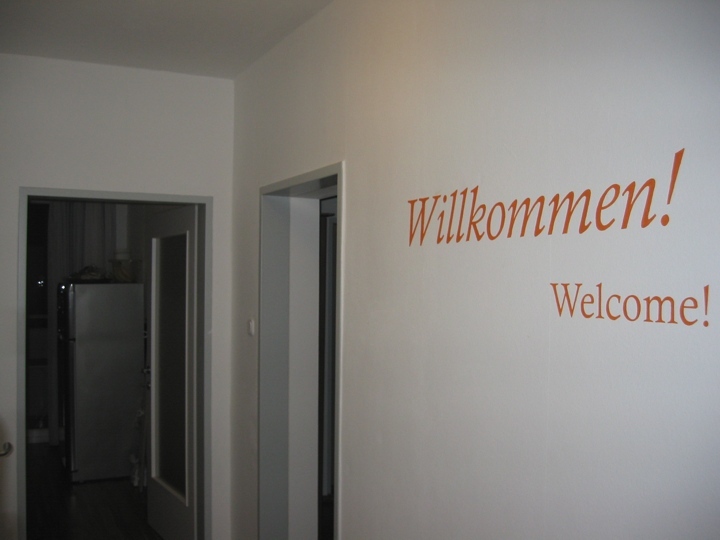 Home Improvement – or – Welcome! Long time no see! Sorry, I was pretty busy. I still am, but hey once in a while you gotta take a break! 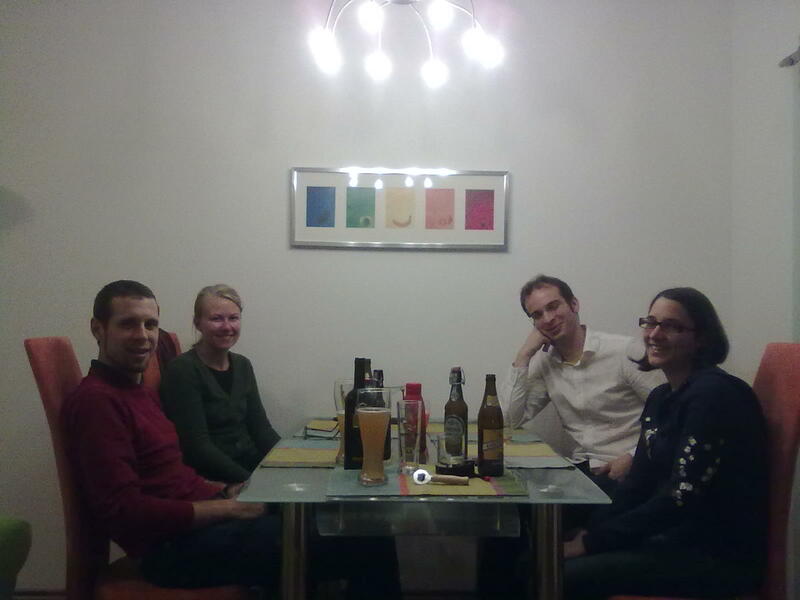 … and another one with my sister, her boyfriend, another friend of hers and Richard. Notice of the self-made fruits picture in the back! Lots of decoration work is still to come! Hope that we can “Welcome!” some of you soon, so that you can take a real life look at our pieces of art!